We want everyone to see our infographics. But not everyone has 20/20 vision. Good thing there are accessibility tools for designers, which help us make work everyone can enjoy. WCAG version 2.1 categorizes its rules into three levels: A, AA, and AAA. Each additional A adds additional constraints on design. Since we’re a small design firm, we most often conform to the AA level, but can provide AAA compliance for clients who request it. Now, much of what WCAG covers pertains to web developers, and for that audience, the language is precise and understandable. But for everyone else, the unabridged accessibility guidelines are pretty technical. 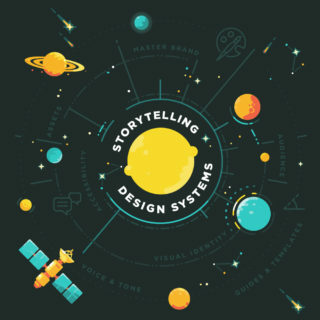 So let’s talk only about what matters most in the realm of infographics: design. Line height (line spacing) should be at least 1.5 times the font size. Spacing following paragraphs should be at least 2 times the font size. Letter spacing (tracking) should be at least 0.12 times the font size. Word spacing should be at least 0.16 times the font size. 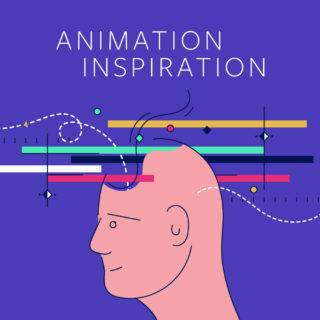 Graphics should have a contrast ratio of at least 3:1, except when a particular presentation of graphics is essential to the information being conveyed. Meaning isn’t determined solely by color. So be sure to view that graphic in grayscale and see if it still makes sense. The meaning of content isn’t affected by orientation, such as a portrait vs. a landscape view. Dive deeper with this section of an accessibility webinar, which covers color contrast and much more. This is for those font size, letter spacing, and word spacing calculations above. Personally, I like the app Alfred for Mac, which you can open with a quick keyboard shortcut, and also doubles as an app launcher. Or you can be old-school and break out that TI-89 from algebra class. Test the contrast ratios of text colors on background colors. Those with Sketch can use this plugin to test as they design. If you’re a bit more techy, right-click on a webpage and inspect that infographic. You can run an accessibility audit, test contrast ratios, and view ARIA attributes. Perhaps you want to see as others see? Try out this Chrome extension to simulate a variety of different vision problems. You might be curious about how someone who uses a screen reader can enjoy an infographic. The short answer? They often can’t. Infographics are usually delivered as JPG or PNG images, which computers and thus screen readers are often not equipped to interpret. This not only impacts those with impaired vision, but also means that search engines probably won’t pay attention to the content within infographics. As with all technology, Lemonly is ready to keep up with accessibility guidelines and tools as they advance. In the meantime, let us know how you make your infographics accessible, and if we should check out any other tools! 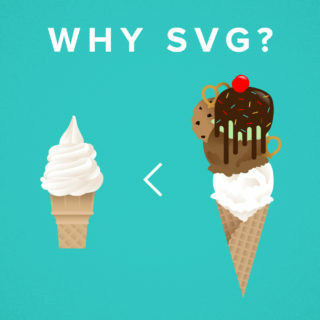 What Is An SVG Anyway?